University of Nebraska at Lincoln, B.A. Outside of his legal practice, Ryan and his wife, Jennifer, are the proud parents of two young children, who are active in youth sports. He has continued his family’s traditions and introduces his son and daughter to the joys of the great outdoors—whether on the soccer field, a famer’s field pheasant hunting with their English Pointer, or grandpa’s pontoon boat—at every available opportunity. After growing up in a family whose financial security, and “togetherness” in recreational activities, depended upon everyone being healthy and able-bodied, Ryan made the decision to devote his legal practice to advocating on behalf of people and families who suffer injury through no fault of their own. 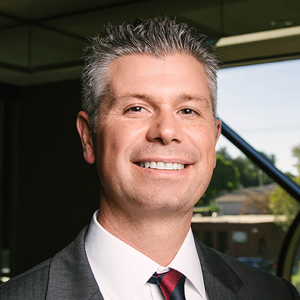 As a practicing injury attorney, he has litigated a wide variety of cases involving vehicle negligence, defective products, dangerous premises, and wrongful death in Nebraska and Iowa. In every case, Ryan draws upon his own personal experiences and brings energy, skills, and a unique base of trial experience to achieve results for his clients.